How Makeup Can Help You to Project the Right Image for Your Business. In my previous post, I talked about how to choose outfits that work well when being photographed. 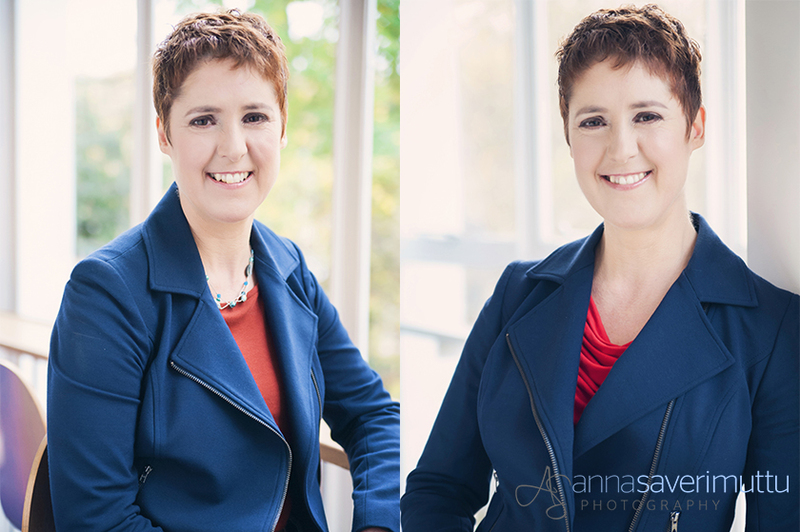 When you’re having your business headshot taken, the last thing you want is for your clothes to scream out for attention; the focus of the image should always be your face and personality; everything else just plays a supporting role. That said, the addition of some subtle makeup does add the finishing touch to a portrait, creating a polished and professional look. 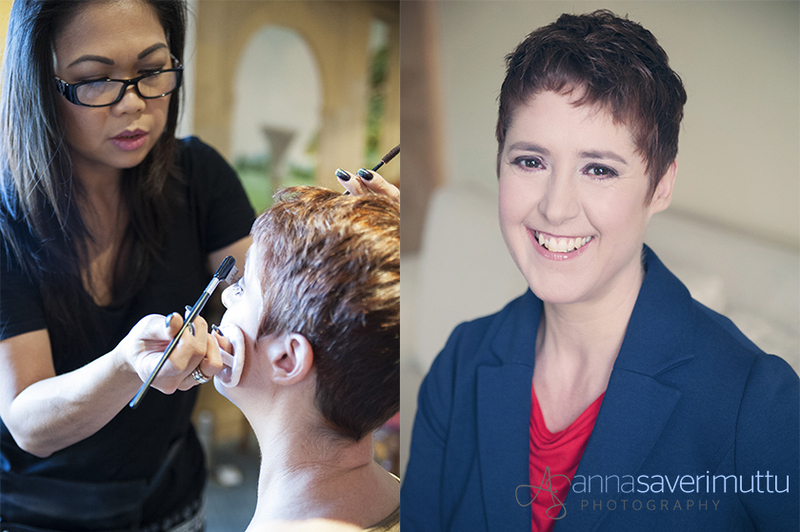 I’ve been using a hair and makeup artist for all of my women’s portrait sessions since the very beginning and have come to really appreciate their expertise and skill in creating beautiful, flawless makeup that’s absolutely appropriate for a business headshot. I think that one of the concerns which many women have is that they’ll end up looking cakey or fake, but that’s absolutely not the case and a professional makeup artist will always take the time to listen to a client’s concerns and requirements. I also make sure that you see what’s being applied at regular stages and I encourage all women to tell us immediately if they want something changed or aren’t happy about anything – after all, there’s nothing worse than just sitting there and feeling that you can’t say a word! 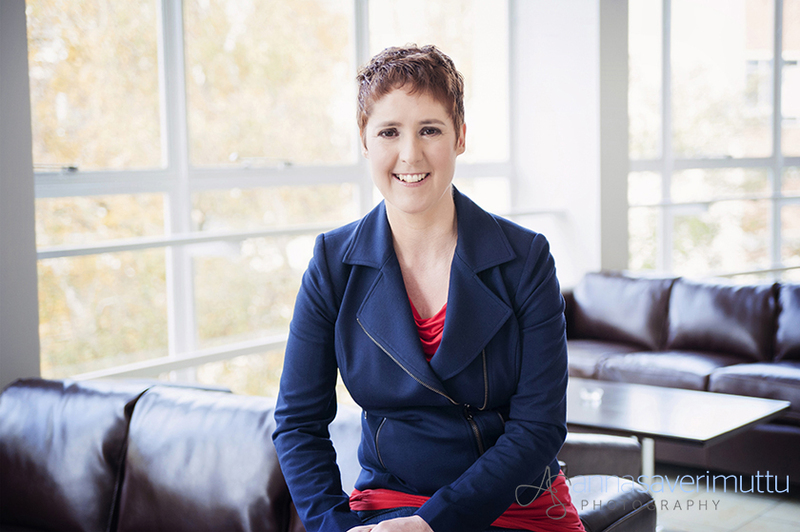 Marijelle Moreno prepares our client for her business headshot session in Guildford. However, it’s equally important that I let my clients know that they will be wearing more makeup than usual; that may sound contradictory given my previous comments, but both natural and artificial light have a knack of soaking up colour and if we don’t apply enough product, it just won’t show up in the photographs. It’s always surprising when I take that first test shot and we review it on the back of my camera; whilst it looks to us as if our client is wearing enough blusher/lipstick, the colour will often have washed out in the photos and so we need to apply a little more. For this particular client who wanted a natural look, Marijelle Moreno first prepared and primed her skin, which is the most important stage; she then subtly enhanced her eyes, brows and lips, to add just a little definition and finished with a soft blush to give a healthy bloom of colour. The result is beautiful – she looks radiant, professional and confident – and every inch the business woman. 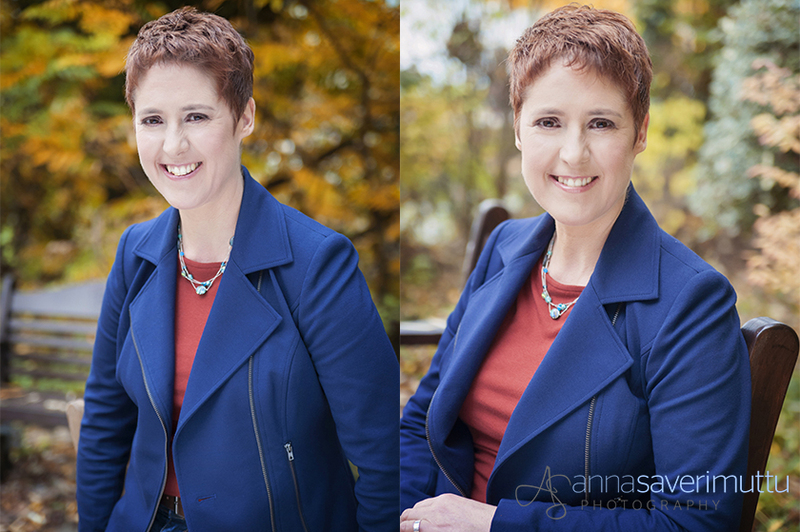 Looking relaxed, friendly and approachable, which is exactly how she wanted to appear in her business headshots. A lovely shot using the abundant natural light in this room. Being able to take some photographs outside was a real bonus. I love the way the autumnal colours work with her top and her hair.